Gone is the era of the simple daily backup. As Bob Dylan once famously quipped, “the times they are a-changing.” Increasingly complex datacenters and a waning tolerance for downtime means one thing – it’s time to adopt an IT Resilience Platform to simplify end-to-end data protection regardless of your infrastructure or cloud strategy. With GDPR not far away, if you haven’t started to plan your organizations strategy, now is the time. SAS, a leader in business analytics and intelligence, states that less than 50% of organizations fully understand the impact GDPR and how their business needs to change to adapt to this new regulation. For example, organizations may be required to report on events such as accidental data deletion or ransomware attacks, making breach protection and the ability to recover personal data, more crucial than ever. 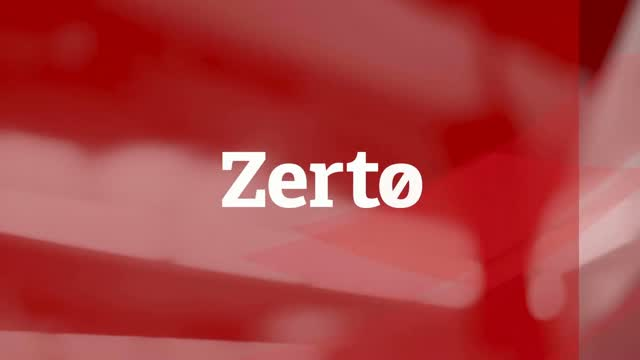 Join us to learn more about GDPR and how Zerto can help. “It is a foolish man which builds his house upon the sand” – so would you build Digital Transformation projects upon a fractured infrastructure? Digital Transformation is essential for modern business, but delivering successful transformation can be a colossal challenge when IT is fractured, siloed & complex to manage. In this webinar, we’ll learn how to build a resilient infrastructure that provides a solid foundation on which to engage in further Digital Transformation initiatives. Recovery Point Objective & Recovery Time Objective. What's the difference? Question: How quickly can you get your business back up and running after a disaster strikes?